I would highly recommend Bouncy Monkeys. We hired them for our daughter's 1st birthday party and they were amazing. All of the children, of all ages, absolutely loved the equipment. The setup and take down was quick and effortless, I was very impressed with how easy they made it look when there was so much equipment! We would definitely use this company again. Very happy customers and one very happy birthday girl. Thank you very much!!! Great all round. Helpful, polite, helpful, considerate. Would recommend. Equipment is clean too. 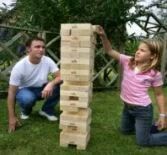 The Giant Jenga starts at approx 3ft and builds to over 5ft in play. This game is packed in colour display box. This is a great garden game for outdoor parties but can also be used indoors. Build the giant tower and take turns to remove a block and replace on top without making the whole thing tumble. 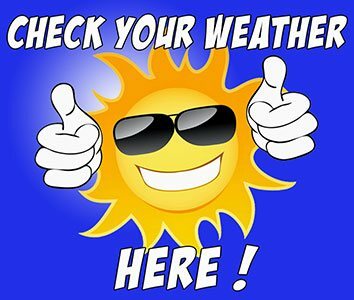 All our equipment can be used indoors and outdoors so they can be used all times of the year in and around Hastings and East Sussex. We aim to maintain the highest standards. Our experienced and friendly staff will give you advice on how to safely manage your castle and other equipment when dropping it off. Please allow thirty minutes either side of your allocated drop off and collection times for our team to put up and secure your products. All our products are cleaned between hires. For weekday bookings, Monday -Friday, including bank holidays, please call us on 07583 222 304 as we currently can't accept online bookings for weekdays. For weekend bookings please use our online booking form or you can call us. When using the online booking form you will be emailed a booking confirmation, this confirms the booking has worked and it will be added to our diary. This product can only be hired with a bouncy castle, soft play or sumo suits, it is not available on it's own.